The second short story in the “All or Nothing: Requiem” miniseries is available to read today. It contains heavy spoilers for Living World Season 4. 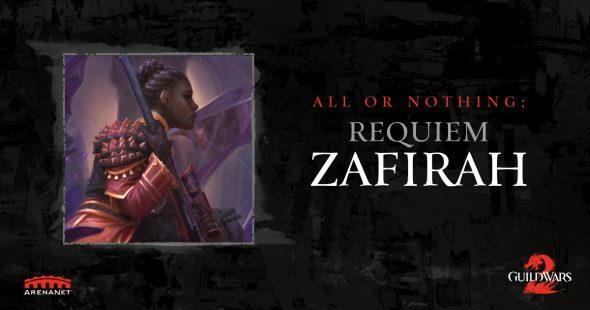 Zafirah’s story was written by Alex Kain of the ArenaNet Narrative Team, illustrated by creative partner Marius Bota, and formatted using the open-source program Twine. To read the story, visit the official page. Click Zafirah’s portrait and follow the links through her thoughts.